My Binoculars 36 Conversations with Your Soul is a book written by Tushar and published by Notion Press, one of India's fastest growing self publishing company. The book consists of 36 conversations that attempt to zoom into the past in order to assist a person to analyze himself better. People deal with several issues on a daily basis; sometimes they handle them smoothly while sometimes they stumble. Everybody has that moment in life when they look back at certain incidents they feel, "If I had known this earlier, would my life have been much different?" It is not really possible for one to understand the challenge and deal with it gracefully because life does not give any opportunity to be prepared. In order to assist the readers, the author has penned down this book which captures present-day life challenges that one faces during various stages of the life and view them with our own binoculars to understand the reasons why such challenges arise, the impact they generate and the ways to handle day-to-day emotions. 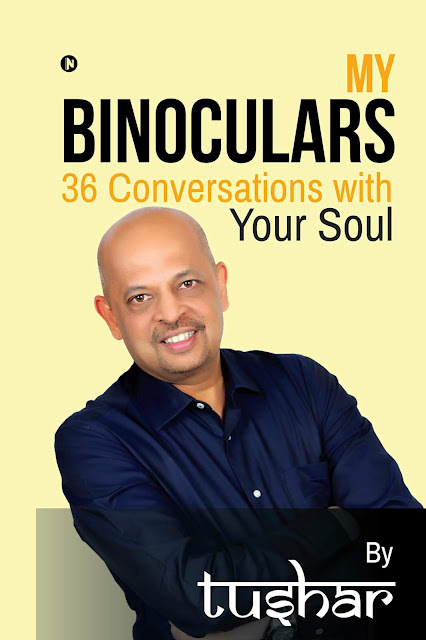 The book, My Binoculars 36 Conversations with Your Soul, has three chapters such as 'Conversation with Self', 'Conversation on Love & Relationship' and 'Social Challenges' that convey many simple yet significant messages which will surely help the readers enhance their personal and social relationships. Speaking about the same, Tushar, the author of the book said, "I have been conducting various personal development sessions for corporate employees and while interacting with them I understood most of the problems happen because people do not know how to react or respond in critical situations. Hence, I decided to write this book. 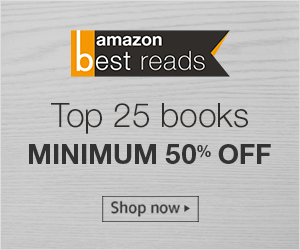 This book discusses about 36 conversations that almost everyone faces in their life and through the various chapters I have tried to provide solutions to them. I am sure the readers will relate to these conversations and try to make change in their lives. The book My Binoculars 36 Conversations with Your Soul is currently out and available on Amazon and Flipkart..
About the Author: Tushar comes from a corporate background, running a successful software consultancy company. His passion for teaching led him to build and conduct various programs in the corporate world about increasing personal effectiveness. As a prelude to this book, he started writing and posting on his blog www.mybinoculars.net. The idea of this book came much later, and he decided to publish it to help many others who face such situations. He is compassionate, soft-spoken, and away from the glamour, with a deep analytical approach in all his work. He loves teaching, mentoring and writing.